It is no secret that most Filipinos want to speak English very well. To most Filipinos, not only will it give you more opportunities, it will bring you a perceived higher social status and a perceived better social life or lifestyle. In fact, many Filipinos go as far as believing that an English speaker with an American accent is more intelligent than the average Pinoy. Therefore, perceived or not, speaking English well can be very advantageous. So why then do most Filipino not speak English well? Feel free to post your comments about the reasons why, and I will compile them so that I can share them with all of you later. Thanks. Note: Please help me find errors in my sentences. I attended a conference of elementary school teachers in Baguio in May last year. She was indeed very confident. I couldn’t help but cringe because of what I heard. I did not have the guts to correct her right the very moment she said the one-liner as I would usually do to my dear friends. I was stuck on my bed consternating. I couldn’t help but engage myself in a soliloquy, trying to find rhyme or reason out of such a dismal, stark reality which need to be addressed. Is that the kind of English our children inherit from the preponderance of teachers we have today? However, I am in no position to claim that our teachers today are all the same. Let’s not point our fingers at each other; instead, let’s work together to cure our sick English before it metastasizes to the next generation. Anyway, forget about my whining. Believe me, this wasn’t the first instance I heard this kind of English. Filipinos take pride in their English even calling themselves the best in Asia. Notwithstanding, such belief has long been on the brink of becoming a myth. English in the Philippines has long been deteriorating. The over-all performance rating of the Philippines was 6.69 while Malaysia got an over-all performance rating of 6.71. Based on the result of the research conducted by the IDP Australia, the Philippines lags behind Malaysia in terms of IELTS (International English Language Testing) performance and the sad truth behind this result is the fact that the sample population in the Philippines was composed of working professionals and the sample test group in Malaysia was composed of university students. Disappointing, indeed. This deterioration in the level of proficiency of Filipinos in English manifested in their poor performance in International English tests is attributed to some factors such as: the teachers, the learners, the environment and institutions, and the government. The teachers are the prime role models of our children in school, aren’t they? Whatever they do and say are mostly imitated or emulated. So, it only means that the kind of English our students have today is a reflection of the kind of English our teachers have. Is that a rational argument for me to say? Others would disagree though. The ability of the teachers in English greatly affects the English Language Learning of the students. As an English trainer to professionals, it is no longer a surprise for me to meet teachers who still have qualms about their English skills. I once asked a school teacher this question: What do you do? That teacher answered: I am listening to you. I wondered then, since when has listening to me been a job? And then the teacher rephrased it: I am teaching. The learners themselves are the prime subjects in the whole learning process. They should not only be passive receiver of information; instead they must actively process information for them to make their own learning more meaningful. Each learner has its own interest and attitude towards learning, that’s why we could not just blame our teachers sometimes when students do not show the progress we expect from them. However, the learners must be properly motivated for them to learn. Exposure and experience are very good multipliers of learning. When I visited one school somewhere in Isabela, I asked one of the students this question: How do you go to school? The student answered: Of course, do you walk. Duh! I was simply caught flat-footed with the answer. I was speechless, for the second time. What about you? I promised to myself not to ask the same question again. The environment must be conducive to learning the English language. How can a learner fully develop his English skills if his environment does not allow him to practice or does not give him any chance to learn English. Our schools nowadays have poor learning facilities. When I was still a student, I was also an heir of this deplorable school resources. Poorly written textbooks are actually ubiquitous and I was once a victim of this so I kept on believing that rubber shoes was just fine. Undoubtedly, they have already polluted thousands of young and old minds alike. Our schools and learning institutions except for some, do not actually have the capacity to improve on their English ability. I can attest to this as most of my former trainees were school teachers ( but mind you they are very good in their respective major fields except English). In addition, some schools nowadays are no longer focusing on developing and improving the English skills of the students since we allow the use of multilingual medium of instruction. The government takes on a very important responsibility for improving the standard of education in the country. Thus, it is imperative to say that the government has to take the prime responsibility for providing necessary support the Department of Education needs for it to fully implement measures geared towards the leveraging and elevating the quality of education we get from our schools. In the past couple of years, it was reported that Department of Education marked 80% of Secondary school teachers failed an English proficiency test in 2007. However, the national government projected an ironic, and too good-to-be-true report which showed that there was a significant improvement in the English proficiency among students in 2008. It’s just hard to believe though since some call centers in the country were inevitably transferred to other neighboring Asian countries because they couldn’t find many qualified applicants to do the job. Statistics show that out of 50 applicants BPO’s interview everyday, only two or three would qualify. For now, what we could do best is not to find a escape goat for all these sad stories but to find alternatives so we could help improve the standard of English in our country. Every concerned should take part in salvaging out ailing English competency. Ariem Cinco, please go easy on me as I am also guilty of speaking nonsense when it comes to daily routines around the house. As an example, I say “please open the close” or please pass the “towel paper”. I knew the minute it came out of my mouth that it is not right and somehow I kept repeating it over and over again. Why is that so? It is because it is embedded in my brain and breaking bad habits are hard to get rid off (or my mouth is faster than my brain can comprehend). I always corrected myself after saying it and people around me thinks that I am just making a joke of some sort. In reality, that is the way it came out of my mouth and once you spit it out, you can never take it back. It is sad but true. That is why when I am out in public, there is always this split second delay as I play it in my mind first before opening my mouth. English is not a language that you can master overnight. To this day, I am still learning it and I have not begun to scratch the surface. It is very complicated language (same word with different meanings as used in the same sentence) with set of rules to follow. Once the basic skill set is learned, there is no limit to where one can go. Now if my mouth can wait for my brain…. Bro, please fix your English. Don’t find an escape goat to blame. Bro, seriously, fix your English. Stop blaming escape goats! As someone who is fluent in two languages, English not being my native language, I can tell you that the greatest obstacle to speaking English properly, at least for most Filipinos, is the lack of total immersion. Being taught English in school, then speaking some other “language” outside of the classroom does not lend itself to the attainment of full proficiency in the English language. Most children are heavily influenced by their friends, family and television programming. Unless their friends and family members speak English as well as the teachers in school do, then their cumulative effect on the student will be negative. In other words, the students will forget what they were taught in school and replace it with the “bad” language their exposed to outside of the classroom. As for the influence of television on young children, that tends to be an even greater obstacle. You’re absolutely right. Immersion is so important. Most Filipinos are only somewhat immersed because most do not really use the English language before and after class. oh well, i guess having the idea why most filipinos cant speak english will enlighten people to realize its importance. sad but true…some are afraid of expressing themselves in english not because the educators are not good nor the support system is poor (quality of education) but rather because, most of the filipino’s doesnt see the importance and need of being knowledgeable with the english literature and comprehension. Some Filipinos don’t really find the importance of English in an era of globalization. By the time they realize, it’s a bit too late. Chris, I hate to say it buy you are so right in your assessment that most Filipinos do not find the real importance of writing and speaking English. English is the universal language that the world uses (example, pilots). We have a “nosebleed” mentality and a culture that disdains “spokening dollars” because it is perceived to be ma-arte, social climbing, or elitist. We also lack competent, qualified elementary school teachers whom we really need when language is best introduced and taught in our formative years. We have college graduates who cannot tell the difference between there and they’re and their, and you’re and your. And to think that we are so proud when we say English is our second language… it’s a sad reality and a bitter irony. @Anna, Unfortunately, there are people who make fun of others. Do not mind them. They do not know what you’re going through. and at the same time, i wanted to enhance my knowledge to know more but the main problem is money. Anna, if you look around you, there are free classes that provides help in learning to write and speak the English language. Don’t use money as an excuse…as a starter, do your search on YouTube and there are tons of materials available. It is a self taught method and this is better than nothing at all. Yes. It can be costly. Please do contact The American Institute and ask for promos or scholarships: http://www.aiepro.com. The heading of the article should be revised to state “Why Filipinos Don’t Speak English Proficiently” instead of “…..Very Well”. The English language is very confusing with sets of rules to follow (believe me, I just barely scratched the surface). To this date, I am still learning the English language (written and spoken) and believe me, I am still struggling. In order to speak the English language, one must first learn how to write. Once you have the basic skill set, speaking it should become naturally. When I was eleven years old, we moved to Hawaii with very limited knowledge of the English language. I was terrified. I just barely managed to fit in with other nationalities. I learned through reading books (with lots of pictures) and comic books (Archie, Superman, Batman, Flash, and so on). I spoke with a thick accent and I was laughed at every time I opened my mouth. Each time my name was called in class to speak, I heard laughter and snickering. It was not a pleasant experience. As time went by, I became better at it. It takes trial and tribulation to overcome my fear of speaking with your fellow classmates and in front of the class. As I look at today’s younger generation, and with the advent of social media, I see that their writings have taken a back seat to using proper grammar. With this type of social media communication, I fear that it is heading in the wrong direction. Their social media writing translate into their english writing and speaking skills (if any). I believe that fear of speaking is one of the many reasons why Filipinos don’t speak English proficiently. I am sure that there are more reasons and I will follow up on a later post. Hi there. I was nine years old when I moved to Hawaii. I graduate from Farrington High School. Like you, I learned through reading books and practicing a lot. What school did you graduate from? Farmington High School, class of 1975. It is a small world after all. Yeah, it is a small world, thanks to the internet. I did work with your niece, Jeflyn, and her friend, Khandy. You may know Marlene Tolentino. She is one of my best friends. I also graduated from Farrington High School, class of 1975. Finally, a fellow Governor’s. It is a small world after all. This is a follow up to my previous comment regarding “Why Filipinos Don’t Speak English Well”. I thank Mr. DelaCruz for writing this article and allowing us to have an input as to the many reasons why. I hope that by the end of the day, he will have the ammunitions needed and hopefully come up with a cure/solution (easy to say). Here is another reason why Filipinos don’t speak English well: THE PRINTED MEDIA IS GUILTY IN THEIR REPORTING (you can also include the televised media). I thirst for news from my hometown of San Nicolas, Ilocos Norte and I would open an article from my hometown newspaper and low and behold the reporting is mixed with English, Ilocano and Tagalog in the same sentence or paragraph. Since the newspaper editor has approved it, therefore, it is an acceptable practice. The readers are familiar with this type of writing and are mimicking it to the letter in their writing and in their speaking. The addage of if they do it, it must be acceptable (o.k….monkey see, monkey do). Take a look at Facebook social media. The grammar is so terrible (because “everybody” is doing it) and it makes its way into their daily English writing and speaking and they don’t realized how terrible it is. I have relatives back home whom I communicate routinely through Facebook (well, it is free). I know that they want to improve their English skills and I do get on their back if they become “lazy in their English grammar”. They do appreciate all of the help and I do notice that their English are improving tremendously. Hi there. Jefflyn was my student in Baguio. 🙂 What a small world, huh? You’re right. Some of the print media here mix the language. Some even have grave errors. Surely your language comprises many Spanish words as well! Chris, I did not realized that you have a poll going on….I guess my head was buried in the sand. Looking at the list, I would say that all applies. With the current poll result, I would agree that fear and people making fun of you would be the main reason why. I have experienced it and it is not fun. I was scared and terrified. Eventually, I was able to overcome the fear and got a good education courtesy of the State of Hawaii (go Farrington and Rainbows (University of Hawaii-Manoa Campus)…..yes, we were called the Rainbows at that time). Good luck with your project and by all means, please share your findings with us. I thank you for giving us this apportunity to contribute. The reasons why Filipinos don’t speak English very well are “limited exposure” and “lack of practice”. Most Filipinos do not use English at home, at school, and even at work. When I was in grade school, my only exposure on English aside from English subject was through television. Good thing that on those times, cartoon shows were in English. Today, if you don’t have cable, cartoons are dubbed in tagalog. During high school and college days, we didn’t really speak in English. We only had the chance to speak in English on graded recitation. At work, though employed in a corporation, we don’t speak with a colleague in English. I can only use and practice my English through email. It makes me glad when I hear young parents of today talk to their kids in English. They expose English language to their children and they are giving them opportunities to practice. i dont write english very well so please bear with me. i too have trouble expressing myself in english. this is probably because in high school although english is taught we’re allowed to speak in filipino. in fact i dont remember an instance where i get to speak in english. i didnt go to college so i never had the chance to practice more. at any rate the reason why i want to learn and be proficient with the language is due to the fact that if you’re equipped with the skill to communicate in english, the higher the chance of landing a good paying job. im not saying that english will instantly get you an easy job but it is somehow your edge among other applicants who can scarcely speak english at all. anyway, back to my desire to learn english, i tried to self teach by reading tons of english articles online and watching english movies but nothing ever seems to have worked. i remember one article ive read saying that the only way to learn to speak english is by speaking at home or to someone who knows how to speak english too. problem is we dont speak english at home and i know no one who does. again sorry for my bad english. I remember when i was still in High School, although we are required to speak in English, most students still find it embarrassing, so what we do is whisper, when we want to speak with our seat mates. We only speak English on recitations and eventually start speaking Filipino when the teachers are out of ear shot. My experience of Filipinos and the English language has been that 99% of Filipinos cannot speak the language well at all! How do I know this? I have lived off and on in the Philippines for many years and spoken to many Filipinos from all backgrounds and invariably most all of them have some pronunciation problems or grammatical errors during a sentence or conversation. 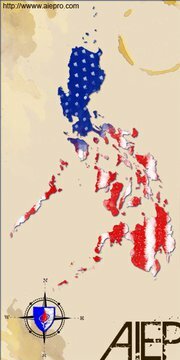 I have one particular friend (Pinoy) who has lived and worked in the United States and now when speaking to him you cannot tell he is from the Philippines as his accent is very clear and sounds American. He, however still makes a mess of the odd word and we are not all perfect, even us native English speakers are not always 100% correct. I noticed the the Writer of this article as an English teacher himself has made errors, such as “escape goat” when the term should have been “scape goat” and a couple of others in the article also. I would also like to point out the Abysmal amount of horrid TV shows and poor production movies that go out to the masses with mispronounced words and poor accents even coming from so called Artists. GMA has much to answer for on that. Hi Mike. I am assuming you are referring to the article in the comment section, which is written by Ariem. I do agree with you that the media, especially networks like GMA and ABS-CBN play an important role in the development of English proficiency and communication in general. Most Filipinos don’t speak English well indeed, but according to surveys in report, we are best in business English. What a pity! Your culture is Hispano-Asian as you have nothing at all in common with English but your people were brainwashed into abhorring the Spanish under US Hollywood rule. Do they teach you about General Jacob Smith ordering the murder of everyone over 10? Who established education in the country? Your culture flourished till the arrival of the Burger King, McDonald culture. If you believe speaking English will help your financial situation look at Mexico, with whom you have so much in common, China and Brazil. They do fine in their own language. Like it or not Filipino history, great literature and law is all written in Spanish. ¡Viva la Perla de Oriente! Hmm. You said that Mexico, China, and Brazil do fine in their own language? I’m not sure about that. You may want to check your facts and determine what “fine” means. Japan was once the best example of doing fine in their own language. Now, Korea is doing much better.